Finally! A sheet set durable enough to last through many years of enjoyment. Once you sleep on these sheets you'll never want to buy another brand again. Made of the softest and finest 100% cotton jersey material so this is as comfortable as your favorite t-shirt. 3 pc. set includes 1 fitted sheet, 1 flat sheet, & 1 standard pillow case. Set will fit a standard twin size bed measuring 39 inches x 75 inches and will accommodate up to a 12 inch thick mattress. 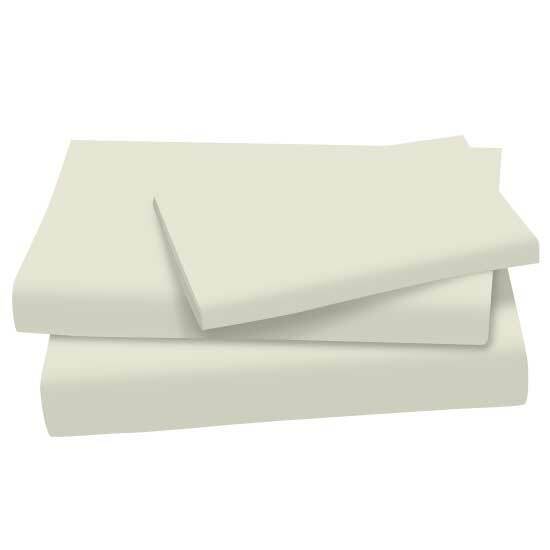 Find similar quality sheets retailing for as much as 99.00. Purchase 2 or more sets and get free shipping! Size: 39 x 75.